Terry O’Neill began his career at the birth of the 1960s. While other photographers concentrated on earthquakes, wars and politics, Terry O’Neill realised that youth culture was a breaking news story on a global scale and began chronicling the emerging faces of film, fashion and music who would go on to define the Swinging Sixties. By 1965 he was being commissioned by the biggest magazines and newspapers in the world. Terry O’Neill was born in the East End of London and left school in 1952, aged 14, with the firm ambition of becoming a jazz drummer. He was already accomplished, and easily found work with small combos playing on the London scene. However O’Neill had bigger ideas and had set his sights on studying with the great drummers on America’s East Coast. Becoming an air steward would get him a free ticket to New York, and so he applied. Advised by BOAC’s personnel department that getting a foot in the door would help his chances of finding such a job, O’Neill joined the company’s technical photographic unit as a trainee. Regular courses at art school were part of this training and sparked an unexpected interest in photojournalism. Hanging around at London Airport, photographing picture stories with his little Agfa Silette camera, was his way of indulging the new pursuit as this bustling location provided plenty of material. One day in 1959 he happened upon the sleeping, drained looking figure of the Home Secretary Rab Butler, and photographed him. The picture was snapped up by the Sunday Dispatch, who put it on their front page the next day, and the Editor offered him a part-time job as their photographer at the airport. Overnight the drummer became a photographer. At the beginning of the 1960s O’Neill began working for the Daily Sketch, which was the principal picture paper at the time. His approach to subjects was polite and professional, his style inevitably informal and spontaneous. This fitted with the times; the rising stars like The Beatles and The Stones did not want wooden, prefabricated images as had been the style in the 1950s. They wanted to appear relaxed and natural. As a result O’Neill became much in demand and his star began to rise alongside those of his subjects. On the back of this early success O’Neill made the bold move of going freelance. He was a huge success and his work began appearing in Look, Life, Vogue, Paris Match, Rolling Stone and many others. Finding that he now had access to high-profile subjects, he made sure to photograph anyone that he admired, becoming one of the most published photographers of the 1960s and 1970s. Terry O’Neill’s success as a photographer went hand in hand with the camaraderie of creative London in the 1960s and 1970s. Friendships with stars like Richard Burton and Michael Caine meant that he could bring people together for photographic shoots. When Elizabeth Taylor wanted to meet David Bowie, O’Neill brought them together for a series of classic pictures. He spent his evenings at the Ad Lib Club in London where actors, musicians, models, designers and photographers could meet and exchange ideas over dinner and drinks. During the day they would work, and O’Neill would photograph them. 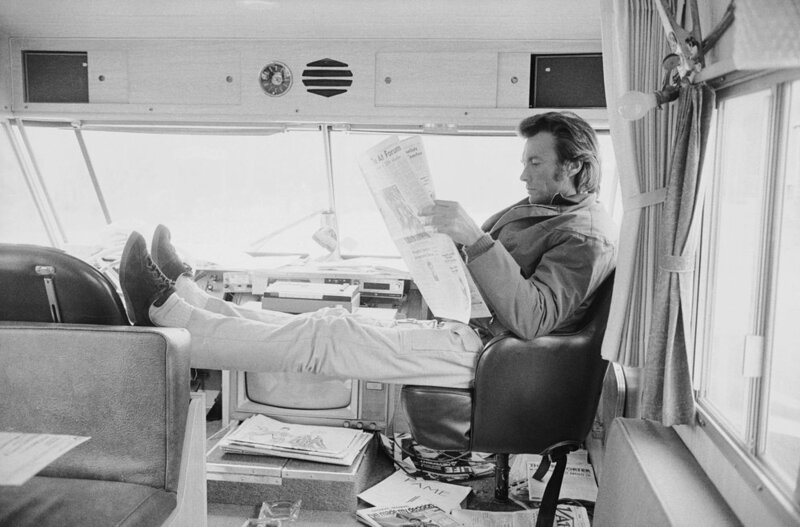 During the 1980s O’Neill became the photographer of choice for Hollywood, and his commissions from the time are nothing short of a catalogue of global superstardom. His striking picture for the Paramount Pictures 75th anniversary celebrations in 1987, number 49 in this catalogue, is testimony to this. O’Neill’s success continued into the 1990s and with 65 pictures held by London’s National Portrait Gallery, he is today revered as one the great British photographers. 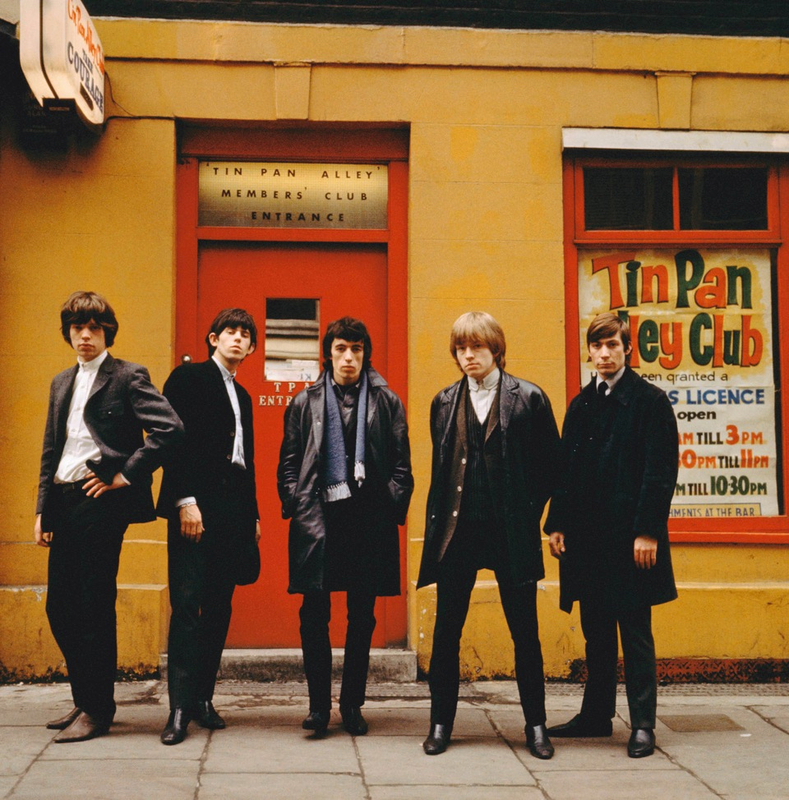 Terry O’Neill has chronicled the lives of emerging rock stars and icons of the 60s including David Bowie, Elton John, The Who, Eric Clapton, Chuck Berry and many others. He photographed The Beatles and The Rolling Stones when they were struggling young bands and worked closely with Frank Sinatra for over 30 years, being granted access to the legend back stage and in private. 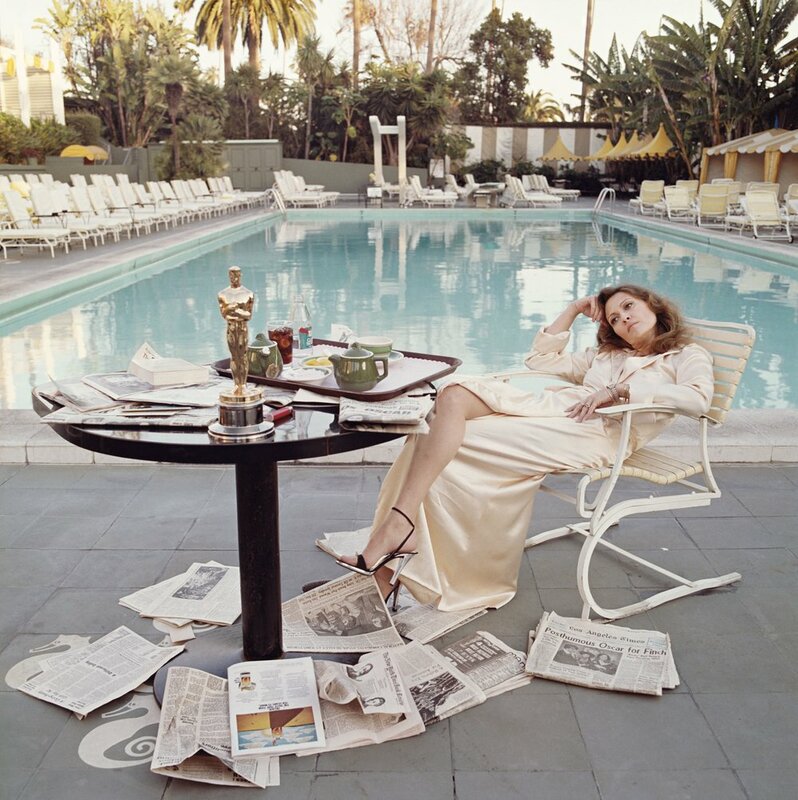 Former husband to legendary actress Faye Dunaway, his photograph of her in Beverley Hills, the morning of 29 March 1977 after she won her Best Actress Oscar for Network, has been nominated as the most iconic Hollywood shot of all time. O'Neill married Dunaway in 1983. His photographs of Brigitte Bardot, Jean Shrimpton and Audrey Hepburn capture the charisma of these superstars at the peak of their careers. The number of iconic photographs taken by Terry O’Neill is substantial! O'Neill snapped Frank Sinatra arriving on location at Miami Beach to film a scene for'TheLady in Cement' in 1968. The Hollywood star drew stares from holidaymakers as he turned up with his minders and stand in. The first major group portrait of the Beatles was taken by Terry O'Neill during the recording of their first hit single and album'PleasePlease Me' in the backyard of the Abbey Road Studios in London, January 1961. 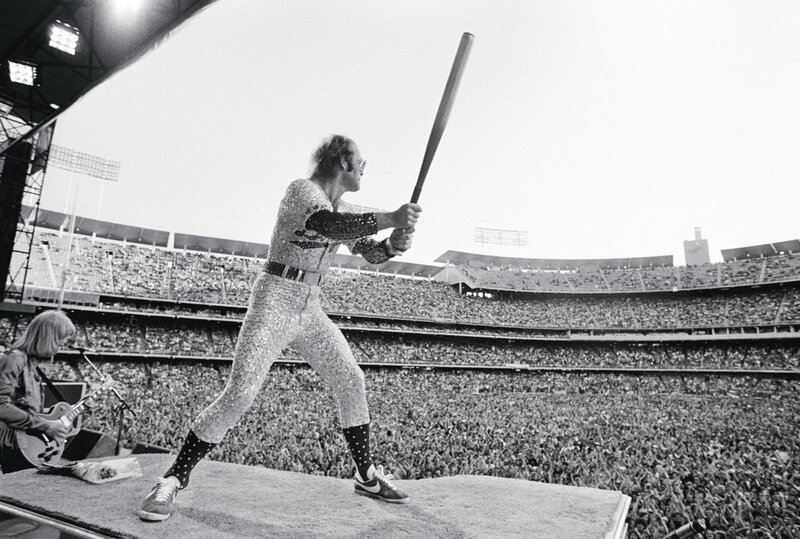 Elton John dons a bespangled LA Dodgers baseball uniform as he performs to screaming crowds at Dodger Stadium in Los Angeles in October 1975. He was touring North America on his West of the Rockies Tour. French actress Brigitte Bardot smokes a cigar on the set of'LesPetroleuses', or'TheLegend of Frenchie King', directed by Christian-Jaque in Spain, 1971. David Bowie poses with a large barking dog for the artwork of his 1974 album'DiamondDogs' in London. O'Neill remembered Bowie walked into the studio with this giant, beautiful dog. He sat in a chair, all stretched out, with the dog standing next to him. But every time we took a photo, the dog would bark at the strobe light, creating this image. Terry O`Neill has produced covers for Time, Newsweek, Stern, Paris Match, The Sunday Times Magazine, Vanity Fair and many others over the course of his six-decade career. Since Terry first picked up a camera in 1958, he has photographed presidents, prime ministers, rock stars, Oscar winners and the British Royal Family. His work has delivered iconic movie posters, album covers and fashion plates for the world’s top designers.